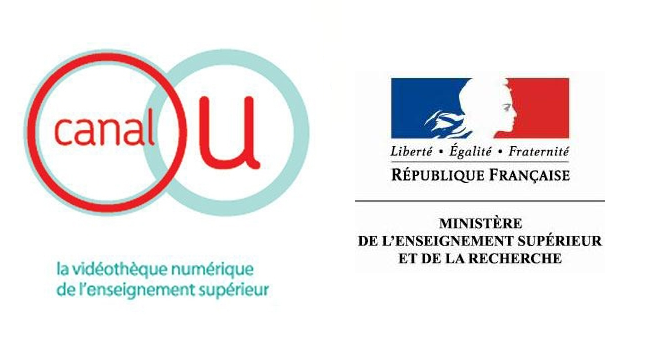 Some Video/Film Deposits on Canal-U, the French official academic Digital Video Library. Two months after the start of the 2011 Egyptian revolution, life goes on, weddings resume in Cairo. This video has been edited in the perspective of a back gift: the video returned to the family of the bride: her father, who works in a forge, had invited me to the wedding. The marriage happens in a community hall and not in the open air by privatizing streets or alleys as it usually happens in the popular neighborhoods of Cairo, as here in Darb al-Ahmar. It is maybe the influence of post-revolutionary insecurity and also the evolution of the popular wedding that would mimic the bourgeois marriages of the upper classes. Every year at the first full moon of October stands what is called ‘aīd al-siyaḥa in Siwa oasis, deep in the Egyptian Western desert. The origin of these three or four-day festival — specific to this Berber oasis — is obscure. And the current name (‘aīd al-siyaḥa) is not helpful (in Arabic; and it can literally be understood as “Tourism Day”… which is not). The most common local story says it commemorates a reconciliation between the two factions (“Easterners” and “Westerners”) of the oasis. 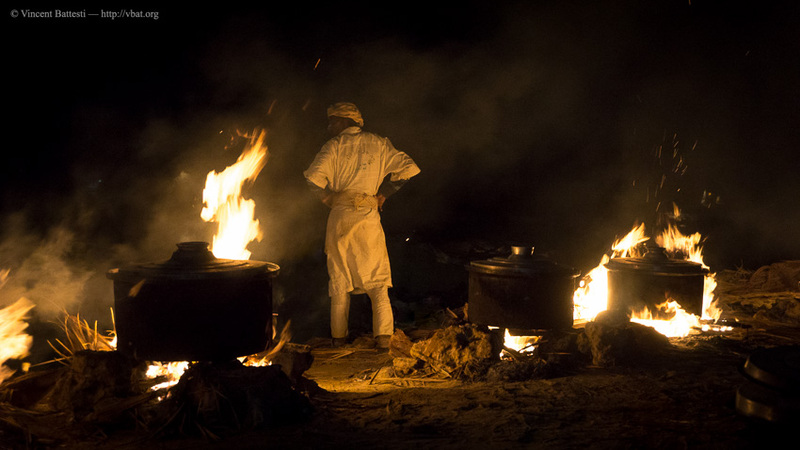 What we can say today is that it is, at least, an opportunity to bring together the people of Siwa and also the various Sufi brotherhoods: during three days are shared meals (and prepared jointly) and nightly ceremonies which are ḥaḍra (حضرة) consisting of dhikr (ذكر). These ceremonies are the topic of this film, images and sounds were recorded on 25, 26 and 27 October 2015. This annual festival had not been held for five years, because the Sufi brotherhoods are aging and because of safe precaution following the January 2011 revolution. This video has been edited in the perspective of a back gift: this film was edited and distributed to the inhabitants of Siwa at their request. The daily life of a family of Siwa and an idea of ​​its ecological footprint: this was the request of the Musée de l’Homme (in Paris) for this short movie that should have been displayed in the showcases of the renovated Galerie de l’Homme. Images and sounds were recorded somewhat in October 2014, especially in November 2014 and primarily November 16th, 2014 following Ḥamza a young head of household in the village of Aghurmi, Siwa Region. 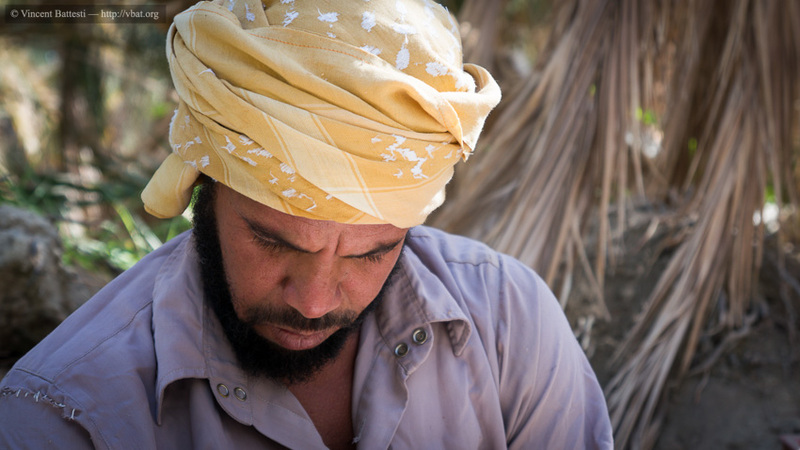 Like all members of his oasian community, a unique Berber oasis of the Egyptian Western desert, his activity is directed towards agriculture, maintenance and production of its palm grove gardens. That was the harvest season. He, like all his neighbors, were busy harvesting of dates on the palm (Phoenix dactylifera L.) and olives on never pruned olive trees (Olea europaea L.). This period is also an opportunity for major mutual assistance and coordination in agricultural work. Corto Fajal is the editor of this film. This is his five-minute version, which will not be used (still too long) in the Musée de l’Homme. Other videos made in other parts of the world, also edited by Corto Fajal, will make the parallel between different lifestyles. This Siwa movie will be the only one where the family is only partially presented: like all men outside the close family circle in Siwa, I do not have access to the intimacy of family life, or even the opportunity to see women or girls. This video was the subject of a back gift: at the request of some inhabitants of Siwa, the film was shown and distributed to them. So far, that’s all folks! This article has been read 156 times. Dernière mise à jour de cette page le Tuesday 24 April 2018 à 11:48:22. //// -----> Citer cette page? Vincent Battesti, "Video/Film Deposits on Canal-U" [en ligne], in vbat.org anthropoasis, page publiée le 23 April 2016 [visitée le 22 April 2019], disponible sur: http://vbat.org/spip.php?article754.